Protect your Toronto home or business from intruders, fire and other hazards with a Nisko Systems Ltd. Fire Alarm Systems are the backbone of your fire protection system by alerting necessary personnel. Fire Alarm Systems should be inspected at least annually buy trained technician. Annual inspections are required under the National Fire Code of Canada (CAN/ULC-S536) and the local authority having jurisdiction. 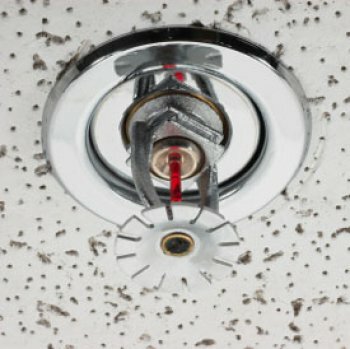 Sprinkler systems save lives - but only if they are properly maintained. 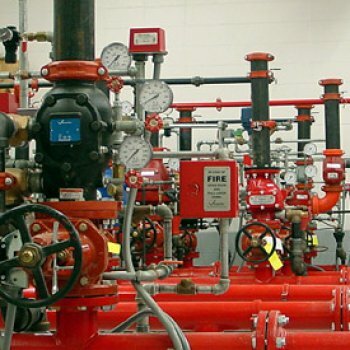 According to NFPA 25, any sprinkler system containing control valves without electronic supervision should be checked on a weekly basis to make sure that they are in the open position. Additionally, at least four times each year, a full sprinkler system inspection should be performed by a certified technician. Test flow of water supply - to be completed only by qualified contractor. Trip-test dry-pipe valves with control valve fully open - to be completed only by a qualified contractor. Portable fire extinguishers are intended to be used as a first line of defense to cope with a fire of a limited size. They're needed even if the property is equipped with automatic sprinklers, standpipe and hose. 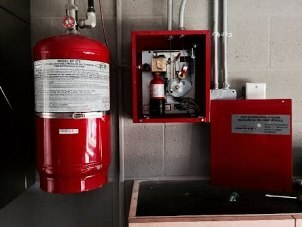 Portable fire extinguishers are very effective against small fires - but only if equipment is properly placed, efficiently maintained, and used by trained individuals. To guarantee the safety of your workers and facility as a whole, make sure that you're aware of how often your hand portable extinguisher needs to be repaired, replaced and/or maintained. An inspection or ‘quick check’ that a portable extinguisher is available for use and will operate properly is necessary. This is done by seeing that it is in its designated place, that it has not been actuated or tampered with, and that there is no obvious physical damage or condition to prevent operation. The date of the inspection and initials of the qualified individual performing the inspection should be recorded on the extinguisher’s label or tag (NFPA 10). Carry out maintenance procedures for fire extinguishers (NFPA 10) and manufacturer’s manuals. Hydro-static test of carbon dioxide, K-Guard® and water-type fire extinguishers (NFPA 10). Conduct hydro-static testing of dry chemical and vaporizing liquid fire extinguishers as required (NFPA 10). Let Nisko Systems ensure your protection by providing you the proper maintenance and inspections to keep your fire suppression system in compliance with all applicable provincial fire codes. According to NFPA, any work on a fire suppression system is to be done by a trained individual who has undergone the necessary training required to perform the maintenance and recharge service as per manufacturers’ instructions. 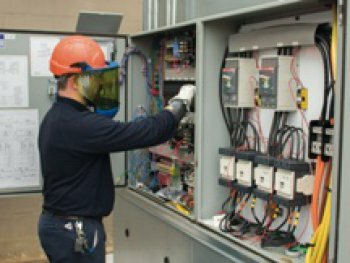 Our highly skilled factory trained technicians work in cooperation with our Fire Alarm technicians to ensure full compliance in the inspection and commissioning of fire suppression and detection systems. Suppression systems for Commercial Cooking Equipment require maintenance inspections every six months. Hoods, grease removal devices,fans, ducts, and other equipment shall be check weekly and cleaned at frequent intervals, prior to surfaces becoming heavily contaminate with grease or oily sludge. In order to keep your fire hose ready for action and in top condition it is important to familiarize yourself with the frequency of maintenance services needed on your equipment. Let us take care of the rest. Nisko Systems Ltd. provides full maintenance and inspection of your fire hose and all its components. 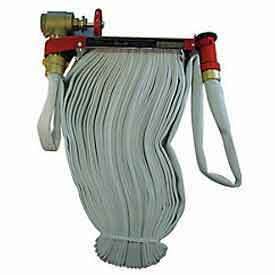 All Fire Hose Stations must be inspected monthly and must be equipped with 1½” hose and nozzle (NFPA 1962). The hose should be visually checked for damage, make sure it is properly racked in the cabinet and that the nozzle is attached. The nozzle should be in the closed position. If the hose fails the physical inspection, it shall be removed from service, repaired as necessary, and service-tested as specified in Chapter 5, or condemned (NFPA 1962). Remove and re-rack all standpipe hose (NFPA 1962). Occupant use hose shall be service-tested (Over 5 years old) (NFPA 1962).s (NFPA 10). Emergency lighting and signs are essential for your employees safety in any emergency situation. 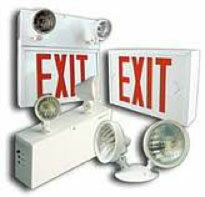 Our highly trained technicians are fully equipped to support any emergency escape lighting product or sign. Emergency Lighting equipment shall be tested to ensure that the emergency lights will function upon failure of the primary power supply. Emergency Lighting equipment shall be tested annually to ensure that the emergency lights will provide emergency lighting for duration equal to the design criteria under power failure condition. After completion of the test the charging condition for voltage, current and recovery period shall be tested to ensure that the charging system is in accordance with the manufacturer's specification. PLEASE NOTE: to send this message You must complete all fields. Nisko Systems Ltd. is committed to respecting the privacy of individuals and recognizes a need for the appropriate management and protection of any personal information that you agree to provide to us. We will not share your information with any third party outside of our organization, other than as necessary to fulfill your request.